Ahead of the release of his latest film Newton, Tripathi explains why he dislikes the words supporting cast and character artistes and wants to be known as just an actor. Anurag Kashyap’s Gangs of Wasseypur (2012) franchise was a landmark for Nawazuddin Siddiqui while unearthing new talents like Huma Qureshi. 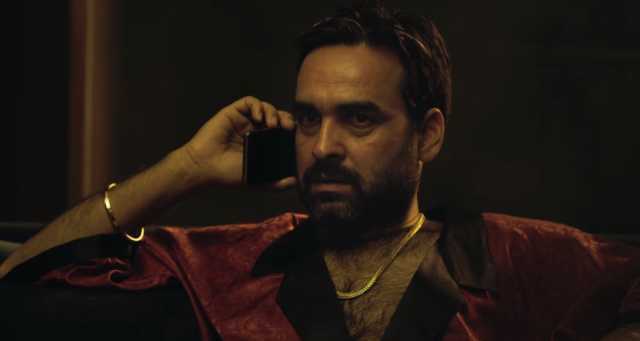 The dark comedy also proved a game changer for actor Pankaj Tripathi, who played the butcher Sultan Qureshi. Blessed with mean, intimidating looks, Tripathi was soon touted as a villain to look out for. However, the National School of Drama (NSD) alumnus did not restrict himself to dark roles, grabbing chances to showcase his versatility. His mellow performances in films like Neeraj Ghaywan's Masaan (2015) and Ashwiny Iyer Tiwari’s Nil Battey Sannata (2016) are testimony to his on-screen transformation. The year 2017 has so far proved to be a watershed for the man. He has been part of acclaimed films such as Anaarkali Of Aarah and Gurgaon. He also surprised everyone by playing father to Kriti Sanon in Iyer Tiwari’s Bareilly Ki Barfi. Tripathi has continued his good form with Newton, in which he plays a pessimistic Indian soldier. 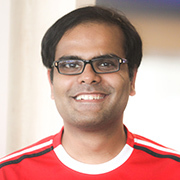 Tripathi’s success underlines why good performances will eventually be noticed. Newton hits the theatres tomorrow. Ahead of the film's release, we spoke to the humble actor over the space of three telephone calls when Tripathi was at Delhi airport waiting to catch a flight to Mumbai. Tripathi is a man of few words, and at times we feared this would turn into a formal, brisk conversation. However, the Belsand-born Bihari did come into his own over the three calls. One of the defining scenes in Newton is the first meeting of your character Aatma Singh with Newton (Rajkummar Rao) where you tell him that the junglee chicken has laid two eggs after interrogation. On a lighter note, from where did you acquire the skill to make a chicken lay eggs? (Laughs.) Ah, I guess it's the experience of 40 years of my life and 15 years of theatre. The scene has been appreciated by all who have seen the film so far. If Newton is the heart of the film, Aatma Singh is its soul. Is that a fair comment? I leave it to you to decide that. I’m just an actor in the film. What I meant was that Aatma Singh is perhaps the most powerful character in the film. Yes, I will agree to that. This character is a result of the leeway the director gave me, and is borne out of my life experiences. The character was earlier a villainous one. I don’t like preaching and love grey characters. So, I requested the director not to make it a black and white character. Aatma Singh should have his own point of view. The director gave me the freedom. After a couple of days of shooting, I asked the director if it was coming fine and he said yes. A good script and the director’s trust only help to improve your performance. An audience will warm up to the character if s/he is engaging. It’s important that a character smiles, he is not boring or preachy. Naxalism, government, army. After watching Newton, we get a sense that somewhere the poor tribal people have been sandwiched in the conflict. Well, we have tried to be neutral and not preachy. We leave it to the audience to decide. The government wants election, naxalites don’t. But the ones who ought to vote, they have no point of view of their own. They have no clue what is really happening around them. You were born in Bihar. Growing up in Belsand, Sitamarhi district, what was your outlook about naxalism then? My area was not affected by naxalism. Belsand falls in the Congress and Bharatiya Janata Party belt. I haven’t read extensively, but I am aware of the issue. I have travelled in Bihar, Jharkhand. I was more informed about it while doing theatre. These tribals are inhabitants of the jungle, it is their village, people coming from other parts do their business, but there is no improvement in the lives of the tribals. Today, if you see Chhattishgarh, Jharkhand, a lot of their leaders in these states have come from outside the state. Do you have a better understanding of the issue after doing this film? Yes, of course! The more you offer to a character, the more the character offers back to you. Yes, you do develop a sense of empathy for such characters. After interacting with the local tribal actors, I realized the simple lives that these people are living. Can you share your experience of working with the local tribal actors? As artistes, they were on a par with us. They were such natural artistes. They were so true to their craft. We were anxious whether we would be able to match up to their performances. We are film actors, we have learnt through classes. I feared that I shouldn’t look like an actor in front of them. The film doesn't take sides, but there could be some criticism in the current climate that it doesn't boost the morale of Indian soldiers. That was never our intention. Like I said, we moulded the character [Aatma Singh] into the grey area. The soldiers, too, have their own conflicts. Aatma Singh does complain about the lack of defence equipment for the soldiers. Somewhere, we have reflected their truth. Usually, writers tend to imbibe their political orientation into their film, but that is not what we have done here. Newton is a very intelligent film. While we do boost the morale of our jawans in Siachen [glacier in the Himalayas], we are not aware of their condition. I had once met such soldiers in the Nubra valley, Ladakh. They were sporting big beards, as once atop the peak, they can’t shave. Sitting far, we develop our own perspective. The director, Amit Masurkar, had mentioned that unseasonal rains left you people with little time to shoot in the mornings. Can you talk a little more about that experience? That happened for 2-3 days. There was a slight delay. Credit to our team, who did a fabulous job. It’s a first experience to shoot in a naxalite area. However, we never faced any problem. We didn’t encounter any naxalites. About 200 people came to see the shoot, but we didn’t even have police protection. Nothing will change till you decide to change it. That’s the motto of Newton, the film. You have been around for over a decade. What do you think ails the Hindi film industry that needs to be changed? Well, what do I say? There is a slight change with new and talented filmmakers making their mark. We are a hero-worshipping society. We need stars in politics, sports and, of course, cinema, which is the hub of stars. I feel sad when referred to as supporting actor or character artiste. I should be called just an actor. A subzi [vegetable dish] cannot taste well without turmeric. A movie is incomplete with the contribution of all the characters. 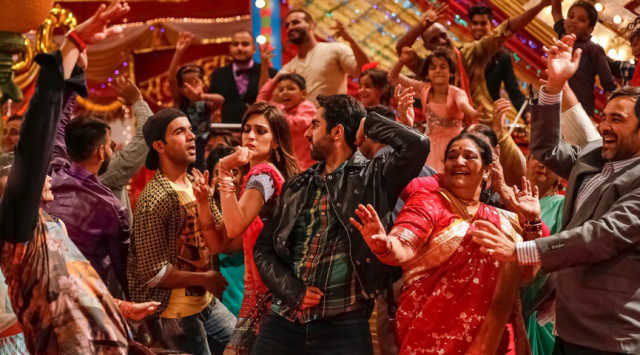 Thankfully, this year there has been a change with content-orientated films like Shubh Mangal Saavdhan and Bareilly Ki Barfi being liked by the audience. The audience, too, is growing. There are new challenges for us to perform better. Anaarkali Of Aarah, Bareilly Ki Barfi, Gurgaon and, now, Newton. This has been a watershed year for you with powerful performances in each of them. Do you think you are finally getting your due in the industry? Maybe, but there is more to be earned. The kind of roles I do, they would have gone unnoticed 15 years ago. I would have been dubbed a boring actor then. This is a great phase for artistes like me. You can experiment. In the past, such artistes used to get stereotyped. The father in Bareilly Ki Barfi was not your cliched character. Bareilly Ki Barfi was a gem of a romantic comedy. Here was a traditional romantic comedy cooked in a new style, but it still tasted really sweet. Moving on, your first claim to fame was as Sultan Qureshi in Gangs Of Wasseypur (2012). Compare that to the gentle, mild father Narrotam Mishra of Bareilly Ki Barfi. Is that like a ‘ghar wapsi’ [homecoming; also a euphemism for reconversion of people to the religion of their birth] on the silver screen? (Laughs.) Yes, I would agree. There was another film before: Nil Battey Sannata (2016). That, too, was a ‘ghar wapsi’ role. Seema Pahwa and you made an unusual pair in Bareilly Ki Barfi. We hadn’t seen you in such an avatar before. True. Seemaji is older to me by 10-15 years. Newton was shot first. So, there I'm looking like a father, while here I’m looking like an armyman. Perhaps this is god's gift. Just fit me into any clothes and after a few days I start looking like the character. So, did you grey your hair for Bareilly Ki Barfi? Yes. Newton had my natural look. Coming back to Seema Pahwa, the two of you shared great chemistry. Didn't the age gap make you uncomfortable? She is a senior theatre artiste. Her performance in Ankhon Dekhi (2014) was inspirational. Working with her is an education. When you work with theatre artistes, it is a matter of give and take. There is no competition then. The artistes trust each other. You realize that scene ko khana nahi hai, scene ko karna hai [You don’t have to hog a scene but enact it]. You are part of Rajinkanth’s upcoming film Kaala. Can you talk about your role? It is a good and lengthy role. I’m playing a cop. We are shooting now. In fact, I arrived in Delhi after shooting in Chennai. It will be released next year. I wanted to meet Rajini sir. How was the first meeting with him? Very good! I was all ears. I did have a set of questions and then I simply listened to him. Like me, he, too, likes travelling to the Himalayas. I asked him about his spiritual journey. He’s a living legend. I am not a fan of anyone, for most of them fail to differ in their reel and real lives. I like the honesty of Rajini sir. Not much is known about your early life. When did you develop this passion for cinema? I was never passionate about cinema. For me, it was a means for survival. I switched to cinema because Hindi theatre didn’t have money. I had done my training from the National School of Drama. I got married. I came to Mumbai to try my luck. I arrived here on 16 October 2004. It was a tough decision. When a person from a village goes to Mumbai, there are a thousand eyes watching you. The fear of failure is large. I hadn’t come to Mumbai to become an actor. I came to learn acting. How much money did you have when you first came to Mumbai? Hardly anything. I had brought Rs40,000 with me, and they were over in two months. My wife got a job as a teacher in a school in Goregaon. She was the one managing the house. It was a tough time, but I had faith in my craft. I was sure that if I get a good opportunity, I will make the most of it. So, how did you begin your journey? I had done one odd play, but then I took up a few TV ads and shows. I had played a henchman in a film but that was never released. My big break came when I got to play the main villain in Dharm (2007). Thereafter, I did a Tata Tea commercial which helped me get exposure. It was with Gangs Of Wasseypur, though, that people started to recognize me. Who was the actor you looked up to for inspiration? To a certain extent, Manoj Bajpayee. That was a time when he had announced himself with Satya (1998). Like me, he, too, came from a humble background. So, I thought if he could make it then why couldn’t I? Now that you have made it, what reception do you receive when you travel back home? I get a good reception. When I am there, I behave like a villager. So the people there think 'he has not a changed a bit’. I go to the fields, meet every dear one. I replicate the simplicity of my characters in my life too. And what about your parents? They must have been nervous from the day you left your village. Earlier, they did fear what would transpire, but now they are happy with the way I have progressed in my career. I was with them six days ago. I told them about my new film Newton. They have never seen a single film of mine in the theatres, for the nearest cinema is a good 25 km away. Besides, films like Newton don’t appeal to audiences there. Films are not their [his parents'] interest. Sometimes, I show my film on a computer, but they hardly react. My parents are simple villagers who don’t express their feelings like how we do. Nor do they have the words to express themselves. Their feeling is reflected in their eyes. I read that you used to work in a Delhi hotel where your manager gave you a hard time. You apparently said that one day you would come back as a customer to the same place. Has that happened yet? Yes. It was a big hotel. I used to be the kitchen supervisor. I worked there for two years. When the day arrived, I learned that the gentleman had shifted to Bangalore. I hold nothing against him, we share cordial relations. He was merely doing his job as the HR manager.